First look at Netflix's upcoming horror series. Set to premiere later this year, Netflix original series Chambers follows a young woman who receives the gift of a heart from a donor after surviving a heart attack. In a twist similar to movies like The Hand and The Eye, she begins to take on the characteristics of her mysterious, sinister donor. 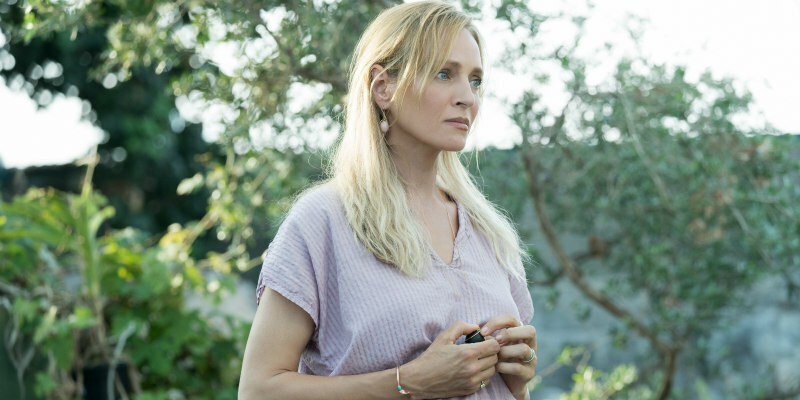 The series stars Uma Thurman, Tony Goldwyn, Sivan Alyra Rose, Lilliya Reid, Nicholas Galitzine, Kyanna Simone Simpson, Lilli Kay, Sarah Mezzanotte and Griffin Powell-Arcand.